This graph shows the total net lending or borrowing of the U.S. government from 2012 to 2018 by quarter. 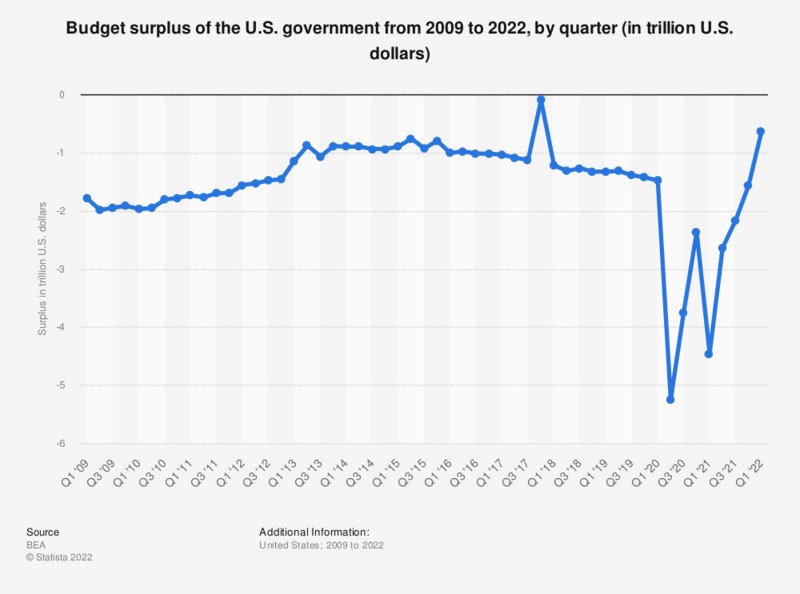 In the fourth quarter of 2018, the U.S. government's budget balance amounted to a net borrowing of about 1.38 trillion U.S. dollars. Budget surplus=total receipts (current receipts + capital transfer receipts) - total expenditures (current expenditures + gross government investment + capital transfer payments + net purchases of non-produced assets - consumption of fixed capital).